 PROLOGUE welcomes Buffalo State theater majors to the Bengal Community of Scholars Program. Becoming a member of PROLOGUE will enhance your educational experience with hands-on participation on and off stage through production, performance, study and work in and out of the classroom. The PROLOGUE Learning Community is open to theater majors only. PROLOGUE strives to create a supportive environment in which students can develop their craft, experience community connections, and explore learning through theater. The Community’s first semester courses are designed to expose students to a variety of theater options while supporting their academic goals. PROLOGUE will also engage in several activities that will augment students’ experiences. A trip to a professional regional theater to see a play, a backstage tour and a talkback with theater professionals. Participation in The Anne Frank Project. Connect with local schools and community groups. The Prologue Community is open to theater majors only. Auditions/interviews are not required for incoming, first-year students; however, all students are welcome to request one. For more information please see the Theater Department website or call (716) 878-6416.